Help us shape bushfire management strategies in your area. Victoria is one of the most bushfire prone areas in the world, with a natural landscape that is dependent on bushfires returning at regular intervals to sustain the life cycles of many plant and animal species. Learning to co-exist with bushfires safely, protecting important values such as human life and property, while also protecting the ecosystems that sustain us, is becoming increasingly important for our communities. Considering this, viewing and planning for fire as an inevitable and natural process, while reducing our exposure to the negative consequences of bushfires, is also essential. This is particularly important for Victorians as our population grows and climate change increases the frequency and intensity of severe weather conditions. Strategic bushfire management planning is an important action we undertake to reduce bushfire risk. The process of developing a plan brings together land and fire managers, communities and other key stakeholders to develop a common understanding of bushfire risk across the landscape and determine appropriate management actions to reduce that risk. Each regional approach reflects the values, priorities, environment and the unique risk profile of that place. This means that each region has different priorities, objectives and, ultimately, different strategies. You may notice these differences as you explore each regional engagement page. Working together to deliver these plans, agencies and communities can reduce bushfire risk effectively and efficiently, helping to maintain or enhance the values that Victorians wish to protect from the negative consequences of bushfires. For more information head to the Safer Together website. 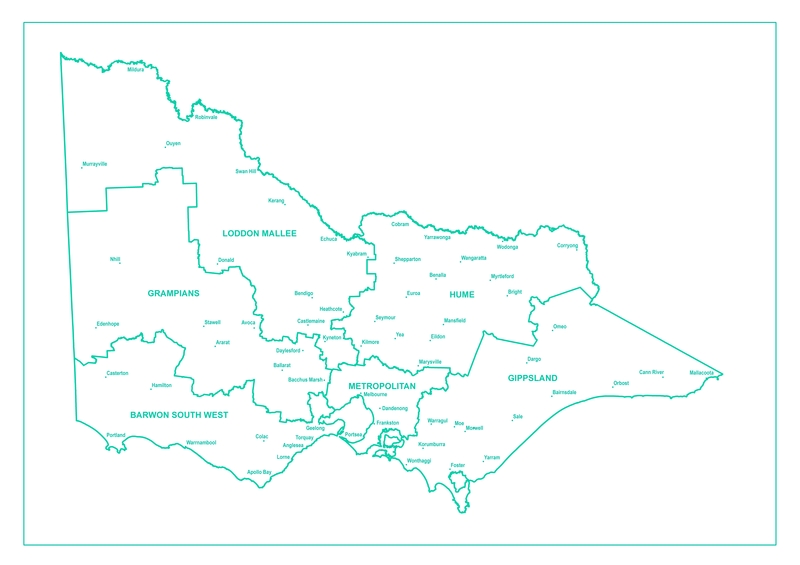 We will continue to seek input on developing our regional strategies, which were created from what communities said were important objectives in Phase 1, Phase 2 and through direct conversations with community members across Victoria. Reviewing and providing feedback on proposed final strategies will be open from June-August 2019. This information will feed into our final strategies which will be made available in October 2019. Please note that due to summer fire activity in Victoria, the finalisation of the strategic bushfire management strategies has been delayed and they will now be available in October 2019. We invite you to participate in shaping the strategies of the places you care most about. A consultation report will be made available for each region, following each phase of engagement. Please click on the tile for each region where you live, work or visit. There is a map of the regions below to help you identify which region applies to you. What is strategic bushfire management planning? What are objectives for strategic bushfire planning? What is the difference between public and private land? Who is delivering the strategic bushfire management plan? What sorts of bushfire management strategies will be considered in this planning process? What will be the end product? Strategic bushfire management planning is a multi-agency process led by Regional Strategic Fire Management Planning Committees (RSFMPCs), designed to support decision making based on risk. The process will be used to inform fuel management delivery, targeted community engagement activities, and prioritisation of resources. The multiagency teams include people from Forest Fire Management Victoria (with representatives from DELWP, Parks Victoria, Melbourne Water, VicForests) Emergency Management Victoria, CFA and local government. The teams also work in partnership with local Aboriginal Traditional Owners. This approach improves bushfire management planning on both public and private land in Victoria. Minimise risk of major bushfires to human life, communities, community infrastructure, industries, economy and environment. Maintain or improve the resilience of natural ecosystems and their ability to deliver services such as biodiversity, water carbon storage and forest products. Involve local communities in decision making, drawing on local values and insights to promote resilience. Expand opportunities to reduce bushfire fuel on both private and public land. Develop bushfire management strategies that are more focused and more effective at reducing risk and keeping Victorians safe. Objectives are the goals we want to achieve. Objectives relate to the things that we value in the landscape, that we want to protect or enhance. With regards to bushfire management, objectives are usually about either minimising impacts from bushfires or maximising the continued wellbeing of something that might be impacted. Impacts can also occur due to bushfire management actions, such as planned burning, and these are also considered when devising strategies to achieve objectives. There can be many kinds of objectives and only a few are presented here. We may also have goals about how we want to develop the strategies, such as in a collaborative manner, although these process-related objectives have not been included. The strategic bushfire management planning process considers bushfire risk and risk reduction strategies for the whole landscape, regardless of land tenure. Delivery of fuel management on private land will still be a partnership with CFA, local communities, FFMVic as relevant, and other stakeholders. Private land is land where the title is owned by a private person. Private land owners can be individuals or companies. Private land owners can generally manage their land, subject to relevant laws. Public land is land held by the government. Public land can be either Crown land or government owned private land used for public purposes. Government departments, public authorities, Commonwealth government and municipalities can hold public land. Public land includes state forests, national parks, parks and reserved and unreserved Crown land, including estuarine, coastal and marine areas. The total land area of Victoria, is 22.8 million hectares (including islands). The total area of public land is 8.4 million hectares or 37 per cent of the state. Strategic bushfire planning is being jointly delivered by Forest Fire Management Victoria (FFMVic) (Department of Environment, Land, Water and Planning (DELWP), Parks Victoria, Melbourne Water and VicForests), the Country Fire Authority (CFA), Emergency Management Victoria (EMV), and local government, in partnership with local Traditional Owners. Community insights and knowledge are vital for identifying the values we need to protect and determining the priorities for strategic actions. Reducing the risk of bushfires is achieved by: reducing the likelihood of them starting or spreading in inappropriate areas; by reducing the likelihood that they become severe in terms of their behaviour and/or impacts; by reducing the consequences for important values that communities care about; or by a combination of these different actions. As one of the most effective and evidence-based ways we can reduce both the likelihood and consequences of bushfires, this planning process is primarily focusing on fuel management. Strategies will focus on how fuel management activities can be used to reduce the risk of bushfires, but may extend to a range of complementary activities that can be delivered before, during and after bushfires. These activites will be evidence-based and developed in consultation with the community and stakeholders. Fuel management strategies will identify priority areas for fuel treatment based on strategic risk assessment that considers risk to life and property, ecosystem resilience and other community values. A trial is being run in Loddon Mallee and Gippsland Regions to also include strategies relating to ignition prevention programs, such as patrolling and bushfire awareness, and planning for initially responding to and suppressing bushfires. The exact format of the final strategies is still being determined. The project team is consulting with stakeholders to determine the best way to present information on the final strategies. The strategies and action plans will become the bushfire component of Regional Strategic Fire Management Plans. Where does Community-Based Bushfire Management (CBBM) fit into the strategic bushfire management planning process? Both Community-Based Bushfire Management (CBBM) and strategic bushfire management planning are a part of the Safer Together program, but they operate at different scales. CBBM is focused on individual towns and areas and is about agencies and communities working together to develop local solutions to reduce bushfire risk. In contrast, Strategic bushfire management planning operates at a whole-of-region scale. Information from CBBM communities that is relevant to strategic planning will be passed through the planning teams, and existing CBBM towns will be given the opportunity to be involved in this strategic planning process. The final strategies may also identify which communities should be targeted to work closer with communities to manage their local risk. How does this relate to the Victorian Fire Management Strategy? The Victorian Fire Management Strategy is a state-wide strategy for all types of fire, including those in the built environment and bushfires. It will be an overarching, vision document that will fit within the current framework of fire management in Victoria. The strategy is being created as part of the Safer Together program, as is this strategic bushfire management planning. Bushfire management strategies being consulted on in this process are regionally-focused and specific to bushfires. They are more focused on the operational delivery of bushfire management actions by land and fire management agencies, in partnership with communities.